Our comprehensive offering of premium amenities is one of the things that lead people to rate us as the best gym in Tucson. Starting with the basics, we provide a large selection of strength training equipment, including all kinds of free weights and weight machines – ideal for strength training, circuit training, functional training, and more. With all of that, you’ll never have to wait in line to use the weights! Cardio equipment that is suitable for solo cardio training is also well represented at our gym. Just step on to one of our numerous treadmills, bikes, ellipticals, or stair climbers and start pumping to get a quick but impactful cardio workout. We’re proud to offer exercise equipment and programs that are practical in your everyday life. Some of our most specialized equipment is geared toward functional training, such as our TRX suspension system. Scratching your head about where to begin with all of that, or looking to push into new frontiers? Our certified personal trainers can help you create the most effective fitness or weight loss program possible given your individual goals and needs. Fortify your workout with friends and coaches in a group setting. Small and large group training is available to give you workouts with a group dynamic, yet which also feel individualized to your ability level. These options are ideal for groups of friends, teams, and corporate wellness programs. Group fitness classes can add the missing spice to your fitness program to help you persevere. Our classes are structured yet flexible. The motivation, accountability, and community found in these classes help support your efforts. We have programs for all ages! Youth athletes can enhance strength, agility, and mental fortitude at our Desert Speed School. Meanwhile, our Silver Sneakers classes offer low impact exercises to keep senior members healthy and strong. Getting to the gym can be more challenging than our toughest fitness training program. 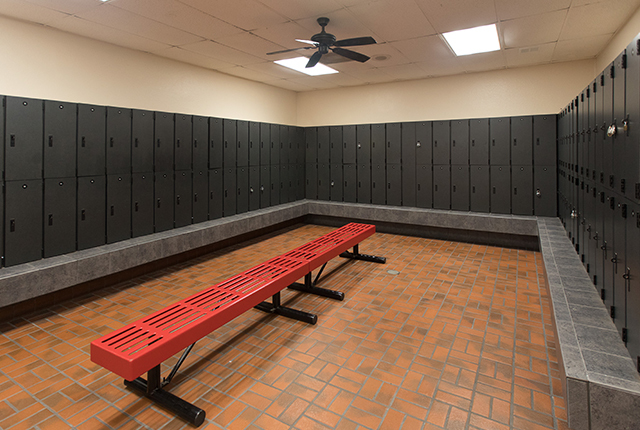 Locker rooms and onsite childcare remove a few of the obstacles getting between you and the workout that will help you reach your fitness goals. Give us a try. We think you’ll agree that our amenities are the best in the area. Come in and try us out today!